Wednesday, January 20, 2016: Up and away from Agave Gulch at Davis Monthan Air Force Base but not before another stop at the Base Exchange for some essentials…..including breakfast at the food court. It’s a clear cool morning, perfect for the nineteen mile trek to our next destination. 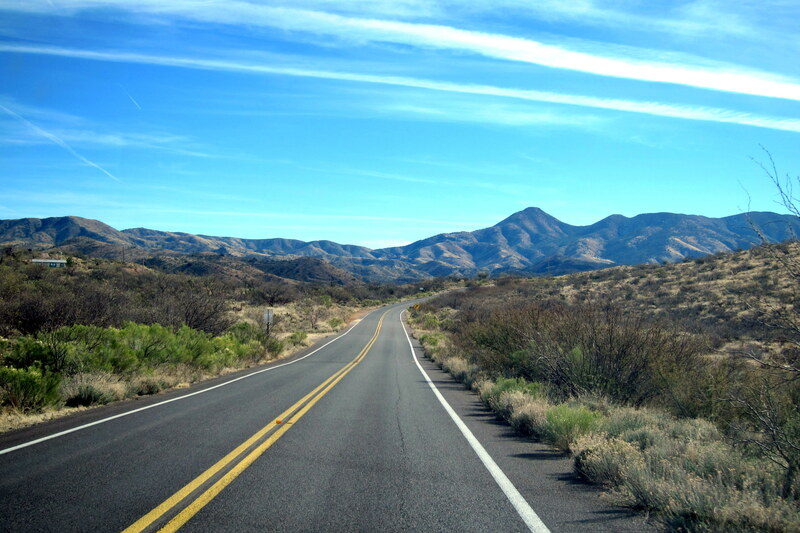 As a change of pace, we decided to take a more direct route north by using Swan Road toward the Catalina Foothills before winding our way to the west toward one of our favorite dooryard surfing opportunities, The Doobie RV Resort. 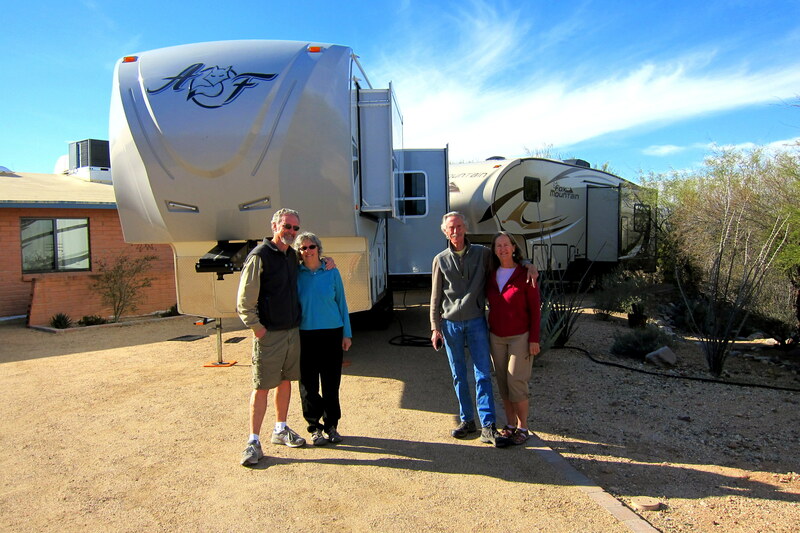 This beautiful property is owned by one of our favorite couples, our bruzzin Dew and sister-in-law Bea are kindred RV’rs and best of all they are separately related to us by marriage…..yep, both of them (See if you can figure that one out?!). Dew and Bea (Doobie…..get it?) have recently upgraded to a very nice Fox Mountain fifth wheel trailer…..another fine product of Northwood Manufacturing. 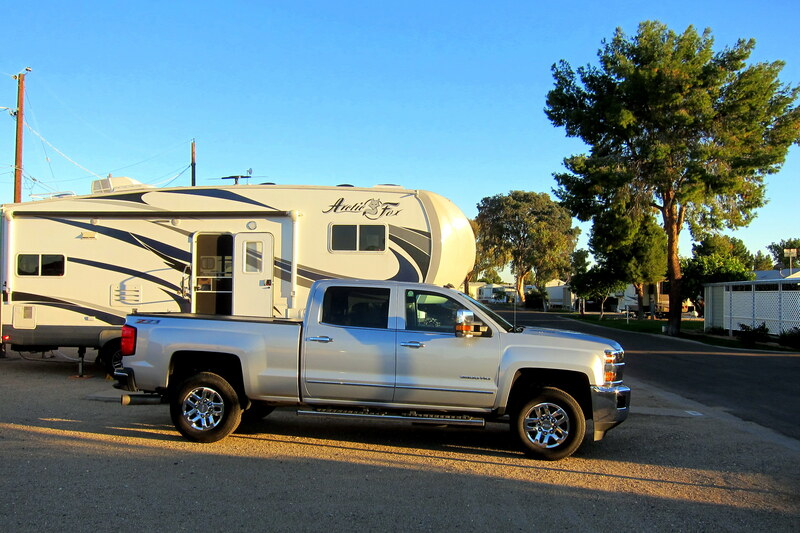 In addition, they have put in what amounts to an ideal RV camping site in their spacious driveway…..complete with a 30amp electrical connection, a water connection and a discharge port for grey water. As a result, they can not only store their fifth wheel trailer at home it can also be pressed into service as a casita for their guests! However, since we have our own camper Dew just transferred the water and electrical connections to us and we were basically fully self-contained for our entire seven day stay…..one of the best camp sites at any price, and this one was free! Thanks folks!! 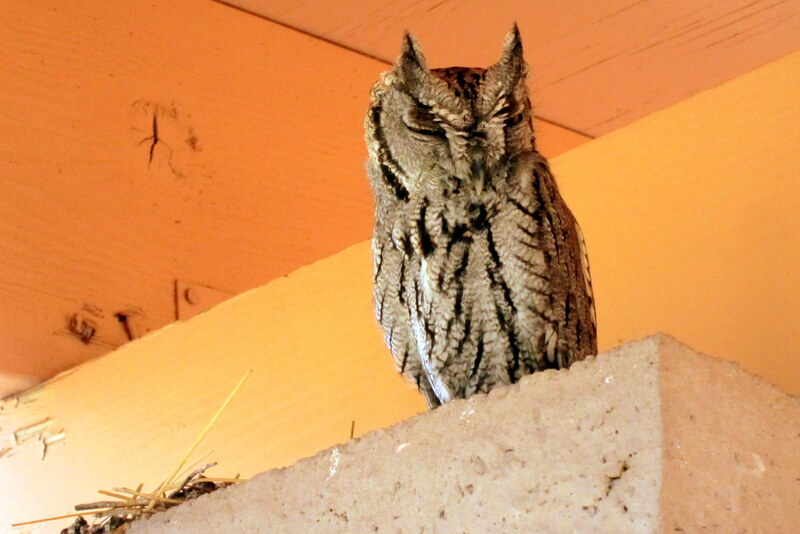 Speaking of guests, in addition to hosting Kit and I they are frequently visited by other animals of the realm, such as this Screech Owl that has set up housekeeping in a nearby carport. This bird of prey is only ten inches tall and mates for life (well, not all the time, but…..well, you know). The male acquires a prefab home, then feathers the nest and puts in a store of food to entice a feathered concubine to cohabitate with him. The offspring are guarded and fed by both parents until mature and ready to attend Birdbrain University. As a nocturnal hunter, the Screech Owl locates its prey by sound and then uses its raptor claws to reduce their meal to manageable pieces. I observed this fellow for some time and didn’t detect much movement or hear a peep, or screech, out of him…..I bet he was stuffed from last night’s Bacchus partying. Also nearby, I noticed the Screech Owls menu offering for this evening. Yea, I know it’s cute…..but I bet it will be tasty as well! Other nocturnal hunters that paid the Doobie RV Resort a visit during our stay were these two hooligans that mooned me as I tried to snap a photo. 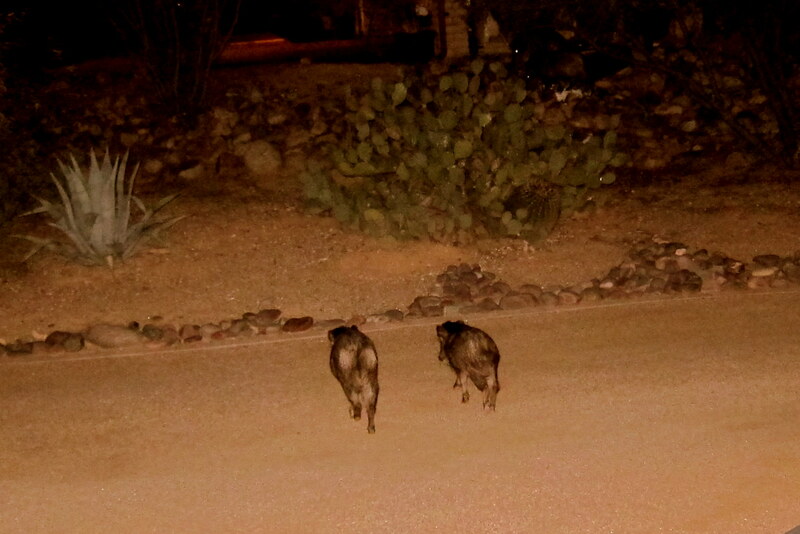 Javelinas, or Skunk Pigs, roam the Desert Southwest in pairs. Primarily plant eating, they possess small tusks that are self-sharpening when the animal opens and closes his mouth. The two buddies above were spotted shortly after midnight after they attacked a garbage can. The ensuing racket woke me from a sound sleep. Before I could open the camper window and grab my camera they were sauntering off into the darkness. However, a few years ago I was able to get quite close to one of these beauties while bike riding in Big Bend National Park. So, where did the peculiar nickname Skunk Pig come from? 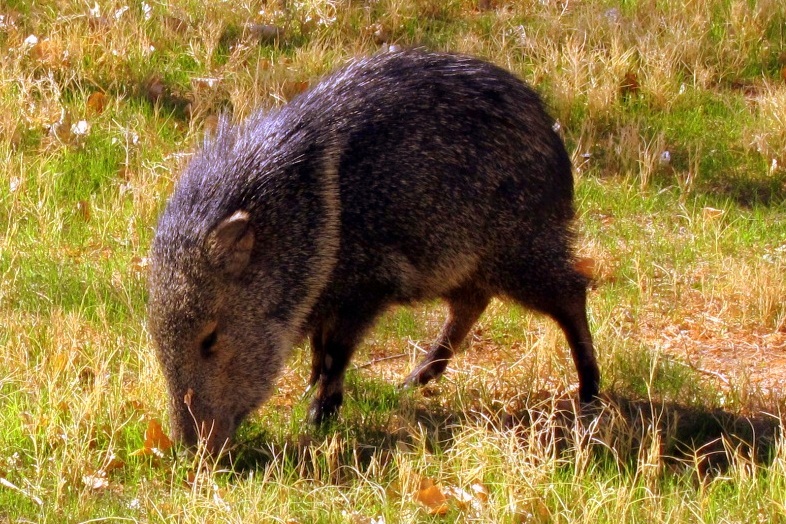 Well the pig part is obvious, even though the Javelina is a peccary and not a member of the pig family. And similar to a skunk, the Javelina possess scent glands that are used to mark their territory, mark their family members and as a method of defense. There are three domesticated critters ruling the Doobie household as well. Kali, Pillito, and Nile are near human in their ability to manipulate any given situation. Above you see them negotiating with their “master” (ha-ha) about moving up the time for their evening meal. Kit and I have visited this section of Arizona numerous times over the past fifty years. And even prior to that I recall driving out to the desert home of my Uncle Dewey and Aunt Mary’s when a mere ten years old. These early family road trips were accomplished in the evening to take advantage of the relatively cooler temperatures in those non air-conditioned days. 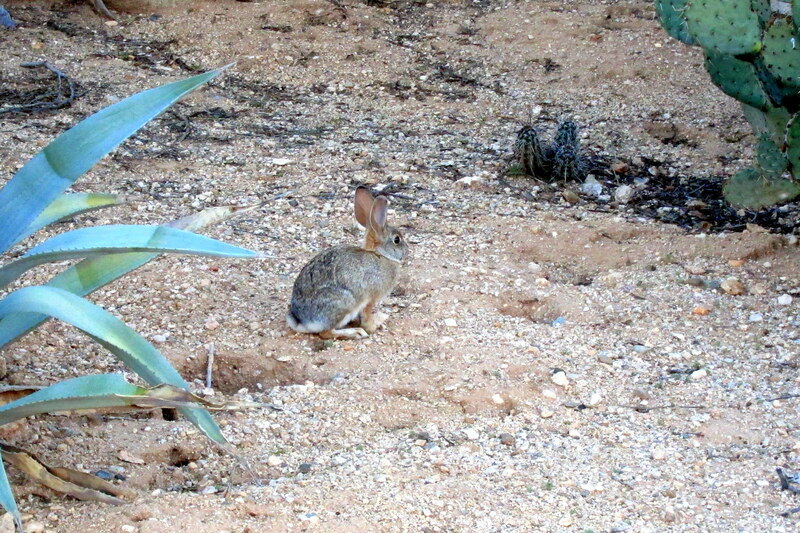 One of the highlights of these excursions was to hang out with my cousin Dewey. I had adopted him as an older brother, and he put up with me following his every footstep and basically being a pest…..come to think of it, he still does. Being four years older, Dewey, or Ducey as he was known back then, led my brother Don and me on many an exciting adventure. 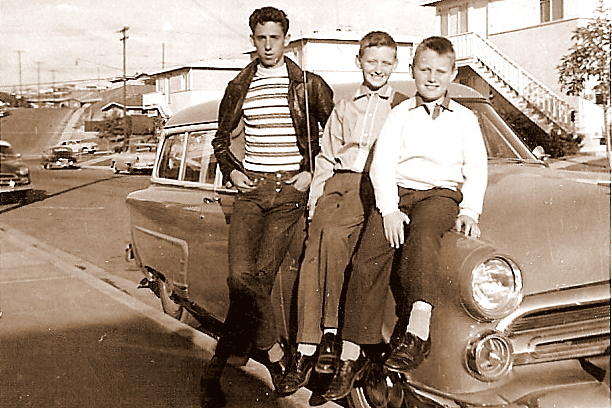 Below is an early photo of us three, taken in the year 1959. Yea, I was pretty dorky back then…..good thing I outgrew that phase! That lead-in brings us to today’s adventure, an old fashioned Dewey Road Trip to a unique facility just to the north of the city. 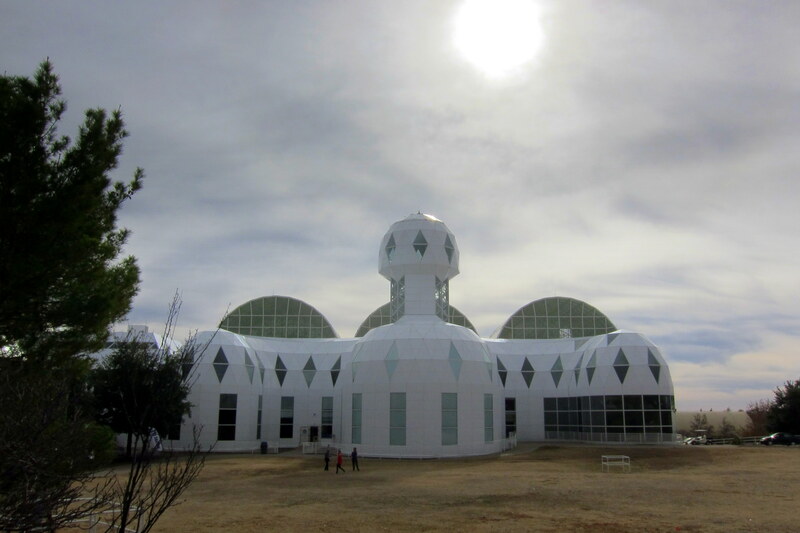 Near the town of Oracle lies the experimental habitat, Biosphere 2…..currently owned and administered by the University of Arizona. Are you surprised it still exists? Yep, so were we…..there has been virtually no press about Biosphere2 since its initial construction and habitation back in the early 1990’s. 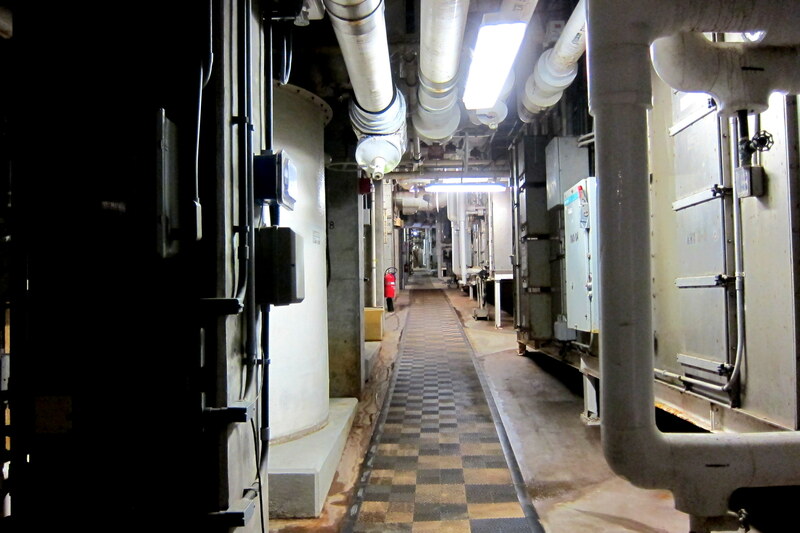 Turns out during the ensuing years it has served a number of owners that have used the facility for a number of different reasons, most of which were not related to its initial mission. Situated on 1,600 acres of Sonoran Desert land, this 136,778 square foot complex was built as an experiment in self-sufficient living by Space Biosphere Ventures. Known as a “vivarium”, which is basically a terrarium for people, Biosphere 2 is the largest closed system habitat ever created. Initially it was designed to test the suitability of humans to live in an isolated and self-sustained environment in anticipation of colonizing other planets in our solar system. Even though a great deal of scientific information was learned from this unique experiment, it never was a total success in its original mission. Poor air quality, insufficient food production, and squabbling amongst the enclosed scientists created problems after a few short months……however, the first mission team did live in the biosphere for two years with minimal outside intervention. On the day we visited, one of the original biospherians’, as they called themselves, was on campus to talk of her experiences. Linda Leigh is a research biologist and a member of Mission Team One and she spent two years with eight other folks living and working inside Bioshpere2. Linda is a resident of Oracle, and makes frequent visits to her old homestead to conduct talks and hold seminars in her newest obsession…..worms! Or more accurately, how worms can reduce our organic waste into useable soil amendments. 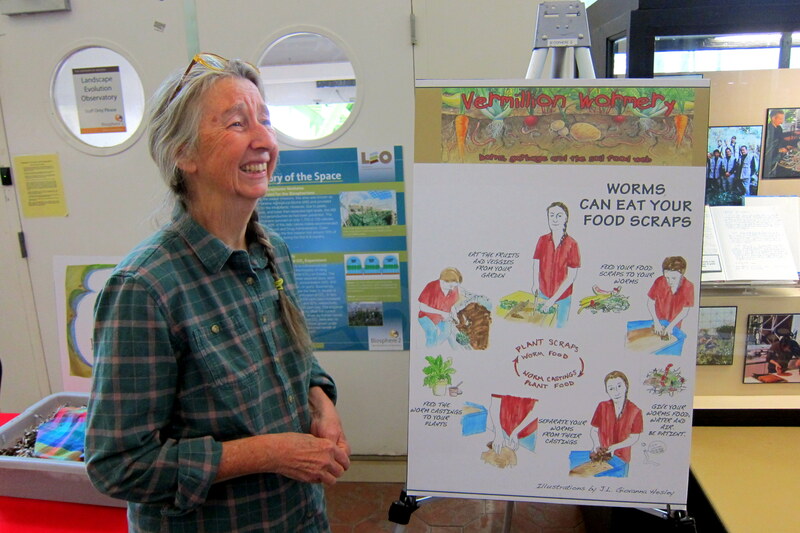 Her business, Vermillion Wormery, provides the resources and instruction on creating a robust worm driven composting system…..not that worms can actually drive, that would be silly……they have no arms or fingers, how could they flip off other drivers?!?! Linda was an interesting person to chat with and made the wait time for the next guided tour of the facility a pleasant one. 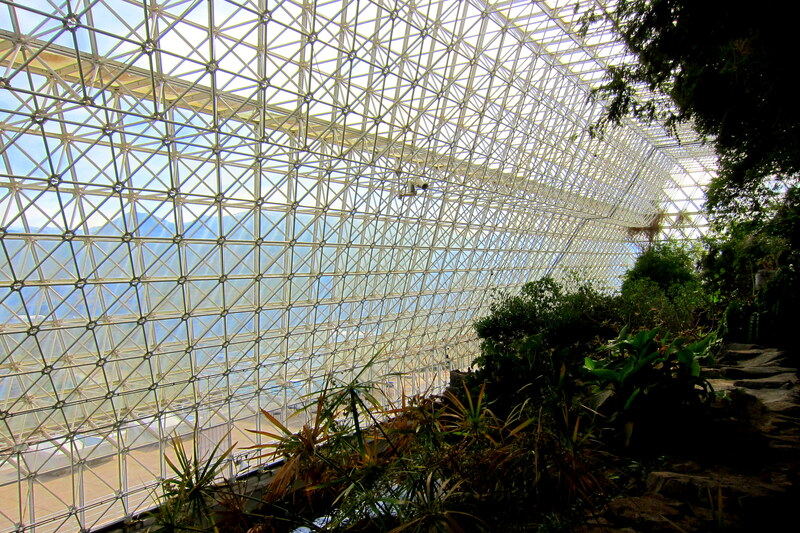 Inside Biosphere 2, there are five distinct environmental regions, or biomes, that generalize the various ecosystems on earth. The vivarium also houses intricate mechanical systems to monitor and control the environment to replicate that of earth as close as possible. Well, wouldn’t it be simpler and cheaper to open a few windows? Yep, but that would defeat the purpose of trying to design a completely closed and sustainable environment……and besides, there are no opening windows in the place. In fact there are only a few access points which are double doors separated by an airlock. During the two years that the nine biospherians’ were living and working in Biosphere 2 the doors were never locked…..primarily for safety and secondarily to allow anyone who had had enough to simply walk out and terminate their role in the experiment, which only happened once. One of the more unique mechanical systems of Biosphere 2 is called “Lungs” and unlike their human counterpart, these huge air pressure regulation systems keep the entire complex at a constant and slightly positive air pressure. The Biosphere Lungs are huge rubber bladders shaped like gigantic inner tubes sliced in half and suspended from a structural supporting ring on the outside with a smaller supported ring on the inside. 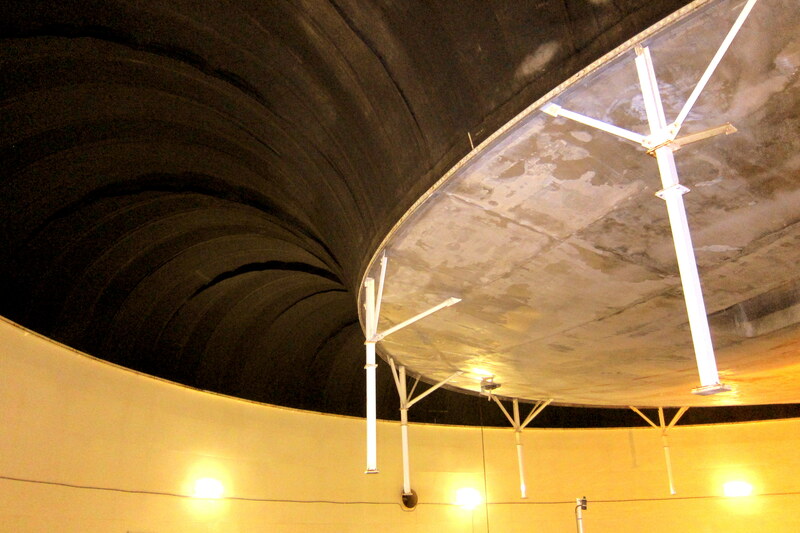 As the air pressure rises or drops, the lung moves correspondingly and this keeps the Biosphere 2’s air volume constant. So how does a closed systems air volume change in the first place? By human respiration and plant transpiration, in addition there are minute losses through the miles of sealant used in the domes windows. If Biosphere 2 were shut down the inner ring would settle gently on the lung’s floor supported by the legs placed around the perimeter of the inner ring……very simple and effective system to help prevent outside air from contaminating inside air. Biosphere 2 also features an agricultural region as well as living areas and working laboratories that are contained within the same enclosed envelope. There were also a variety of carefully selected four legged animals that participated in the experiment…..some adapted very well and others not so much. By the end of the two year experiment, Biosphere 2 had lost a few domestic and wild animals due to sickness but the ant and cockroach population thrived. Yea, I know…..big surprise! So was the Biosphere 2 experiment a success and was the $200,000,000 to build the facility worth the money? Well, as with most things in life, it depends on whom you ask. Biosphere 2, for the most part, worked as intended. There were some problems with air quality, animal viability, human dynamics, and food quantity with its corresponding human weight loss. But Mission Team One did prove it’s possible to live in an enclosed, self-sufficient environment…..at least for a while. However, rumors and accusations of “cheating” were, and still are, rampant. These rumors were never proven but the negative climate (no pun intended) caused the second group of scientist, Mission Team Two, innumerable problems and resulted in the truncation of the closed system experiment for good. 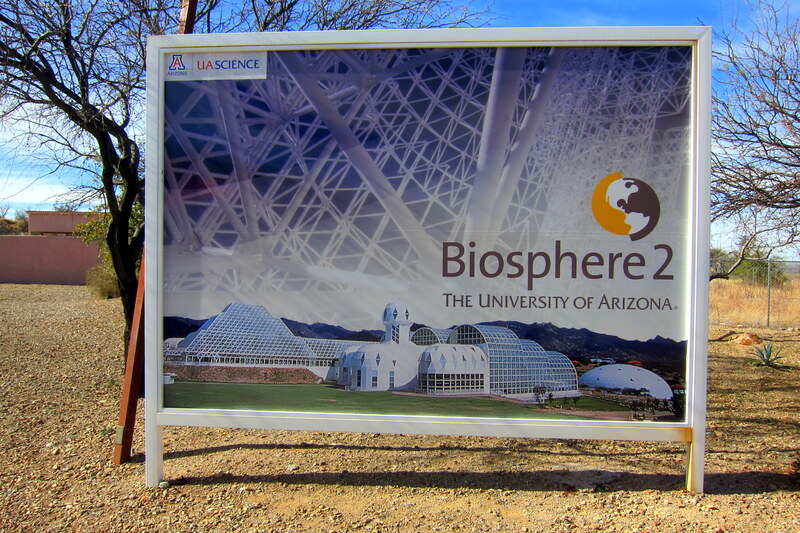 After a number of years during which Biosphere 2 was managed, and mismanaged, by a series of owners and investors, it became the property of the University of Arizona and evolved from a closed system to a “flow-through” system and is being used for research in environmental science and as a teaching laboratory for the agricultural department. So, was there ever a Biosphere”1”? Yep, it’s called planet earth and ironically has some of the same issues that plagued those nine folks that spent two years inside Biosphere 2! 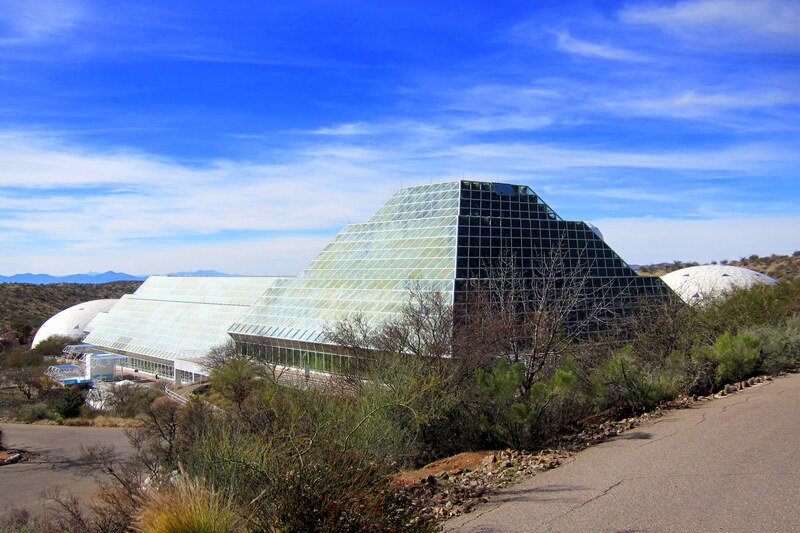 Visiting Biosphere2 in the Arizona desert is definitely worth the effort…..Kit and I highly recommend that folks take advantage of the opportunity to see and learn about this fascinating facility. 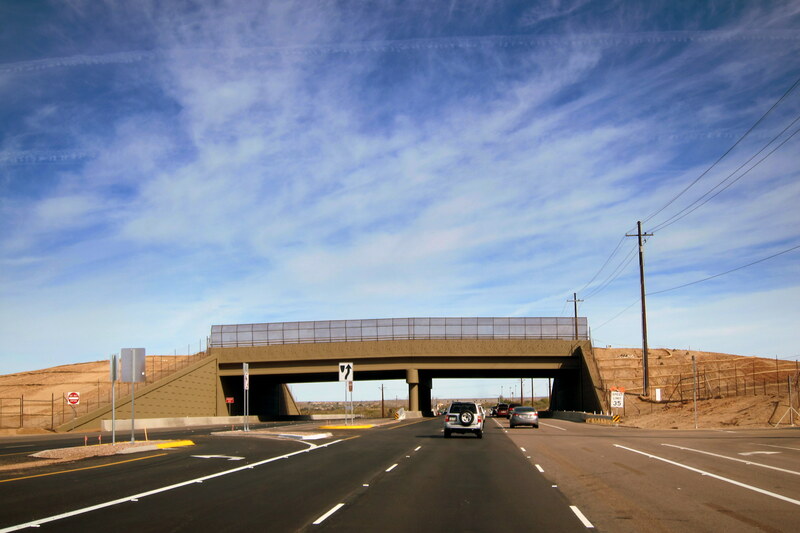 On the way back to town, we drove under a newly constructed “Animal Land Bridge”. The very roads that allow Kit and me the opportunity to roam about our great country have fragmented the habitat of indigenous animals, isolating them from their traditional hunting and roaming grounds. These land bridges help mitigate the problem and they also answer that age old question: “Why did the chicken cross the road”?! Being late afternoon, and a bit hungry, Bea recommended stopping at a Mexican restaurant she favored. 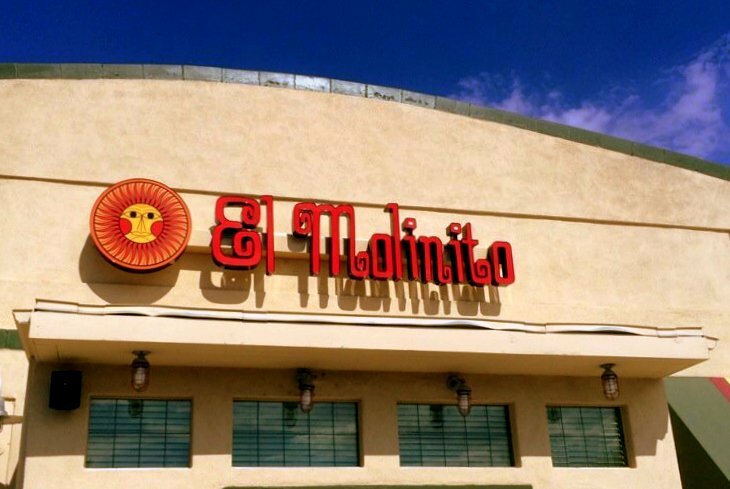 El Molinito’s is located in a shopping center, and as such wouldn’t normally attract our attention, this being the land of incredible local Mexican food opportunities, but the meals and service were excellent! And the company we shared it with even better! Thanks, Dewey and Bea for an outstanding, fun-filled day! 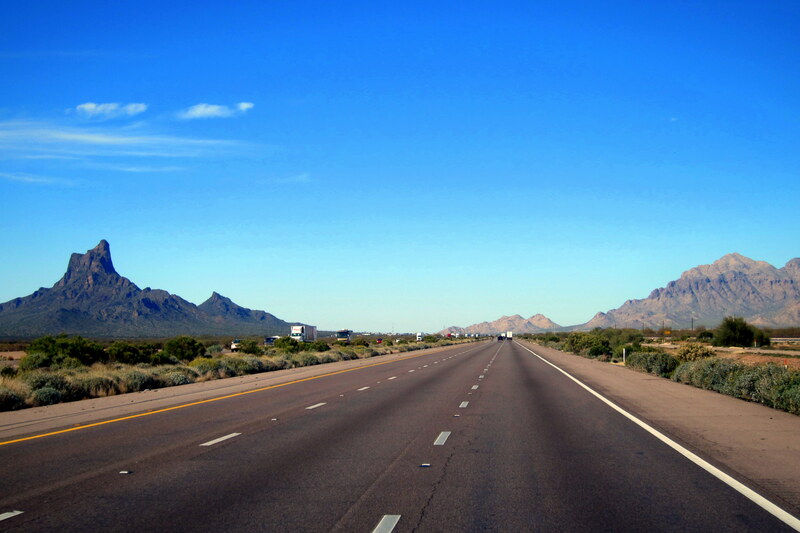 Tucson is our preferred city to take care of any mid-trip maintenance on truck and trailer. Since our new Silverado was creeping up on 24,000 miles, it was due for its fourth and final free (promotional) oil change. While the truck was in the garage bay, and Kit was comfortably settled in the nicely appointed, Wi-Fi enabled, and snack stocked, customer waiting lounge, I decided to take a stroll through the car and truck offerings for 2016 and spied this beauty. No, it’s not just any “ordinary” Corvette…..this machine is the ZO6 model! The 650 horsepower supercharged V8 beast is consistently rated amongst the world’s top high performance automobiles. With a zero to sixty MPH time of 3.3 seconds, the ZO6 beats much higher priced foreign exotics in acceleration, handling, and most importantly, braking! So, who needs a $90,000.00 US made supercar? Actually, no one….however if we only drove what we actually needed, then most of us would be poking around in the $2,000.00 Tata Nano. 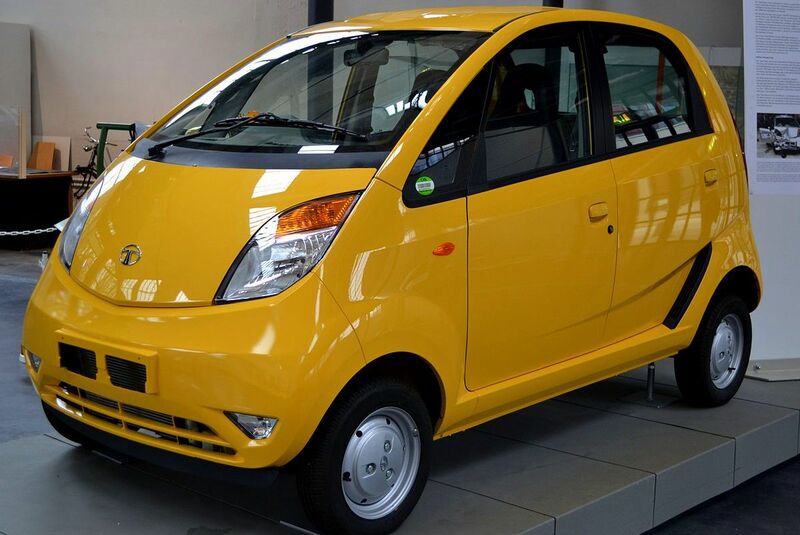 Don’t laugh…..this micro car built in India retails for one-lakh-rupee (about $2,000.00 US) and is powered by a 38 horsepower engine featuring zero to sixty mile per hour performance of 57 seconds. Cheap basic transportation yes, but the Nano has a disturbing trait of spontaneously erupting into flames and, if that wasn’t bad enough, the zero star crash safety rating keeps it out of most world markets. Leaving the dealer, Kit and I then attended to haircuts, followed by some shopping at Summit Hut (an Arizona version of REI), and wandering through The Wal*Mart. 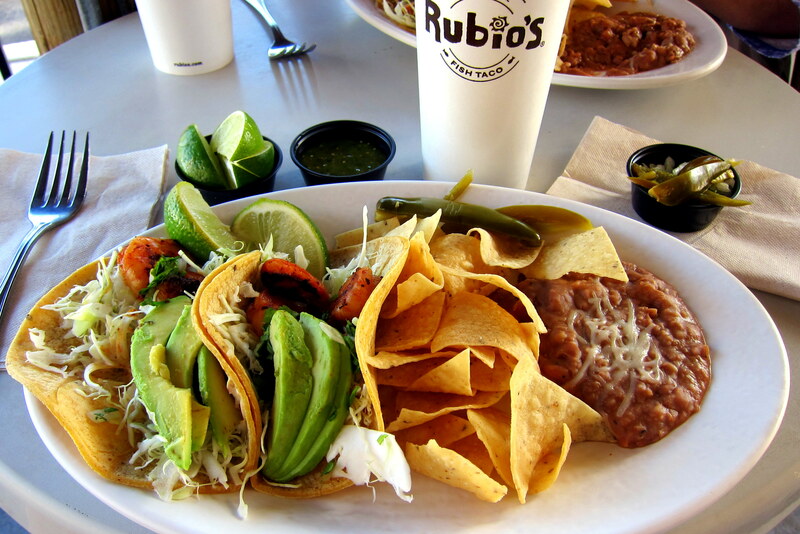 Since it was way past our lunch hour, we Googled the location of our favorite chain fast food joint…..Rubio’s Baja Grill! Here, the food is consistently fresh and really quite good, also it is hard to beat their extensive salsa bar. I ordered a new offering on the menu, the Smoky Oaxacan Shrimp Taco plate. It was incredible! I need to initiate a letter writing campaign to bring Rubio’s to Maine!! If that ever happens, Taco Bell would be in trouble!! Speaking of Maine (notice the fractured segue? 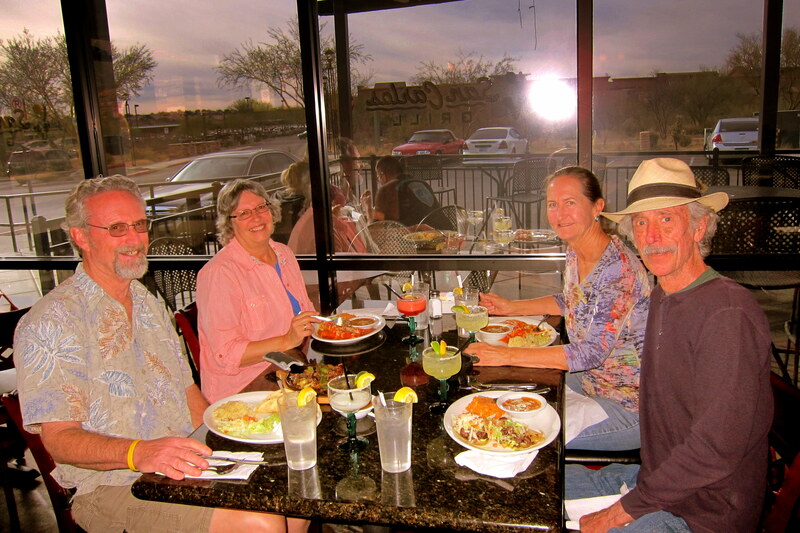 ), there are authentic Maine restaurants in Arizona as well! And, for Brother Dan’s 52nd birthday dinner, that is the place he wanted to go! 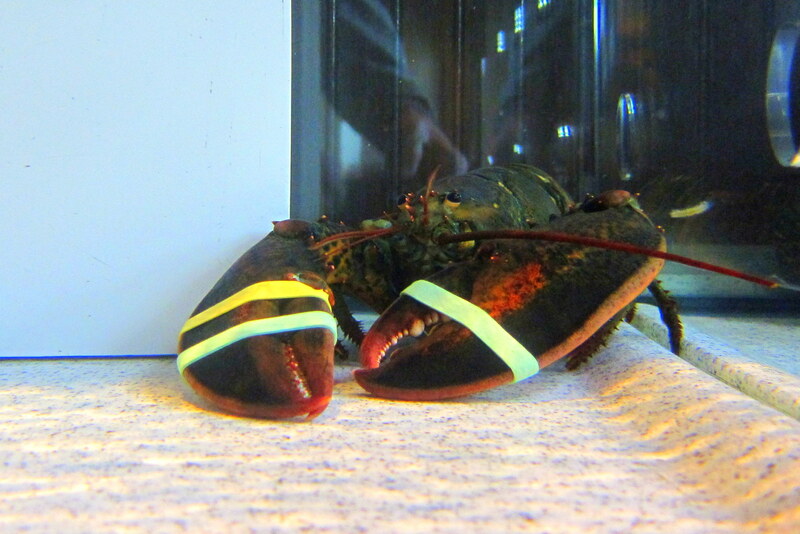 While waiting to be seated, I noticed an actual Maine native that was being held hostage!! Notice the yellow Livestrong bracelet on his/her right wrist? Must be a cyclist and as a bicycle nut myself, I shared a kinship with “Lance”, as I called him, and tried to orchestrate his/her release. However, the desert didn’t seem like the best place to free a shellfish so he/she will languish in his fake ocean environment. 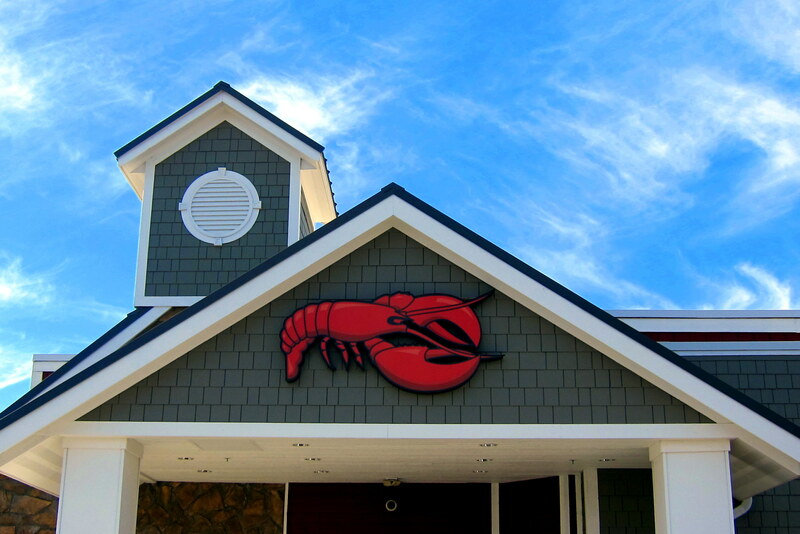 Local folks that come to the restaurant won’t select Lance for their meal as his coloring doesn’t seem right to them…..after all, Maine Lobsters are supposed to be brilliant red, as depicted on the restaurants sign! Next on Dan’s birthday agenda was a rousing, highly competitive game of the great American sport, bowling! 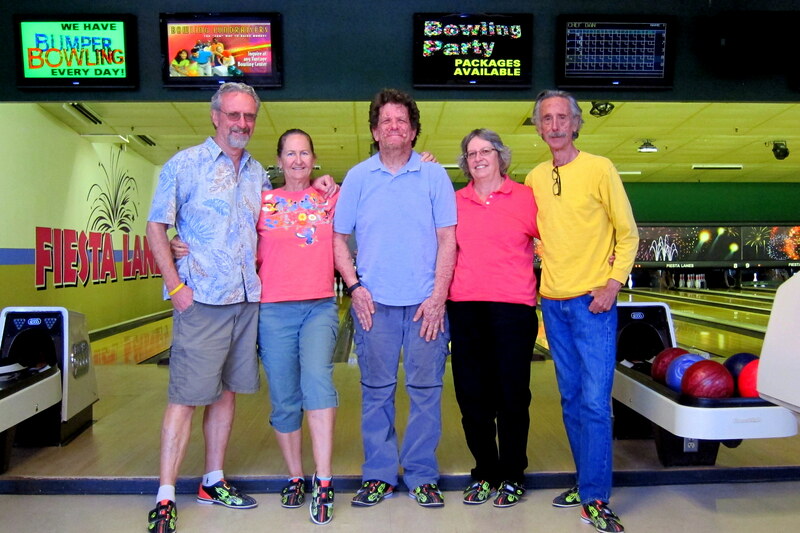 Sporting those fancy slippery shoes, and hefting age appropriate balls, we competed for the family championship. And, as in another sport involving balls that go everywhere but where intended, we determined that the lowest score wins! 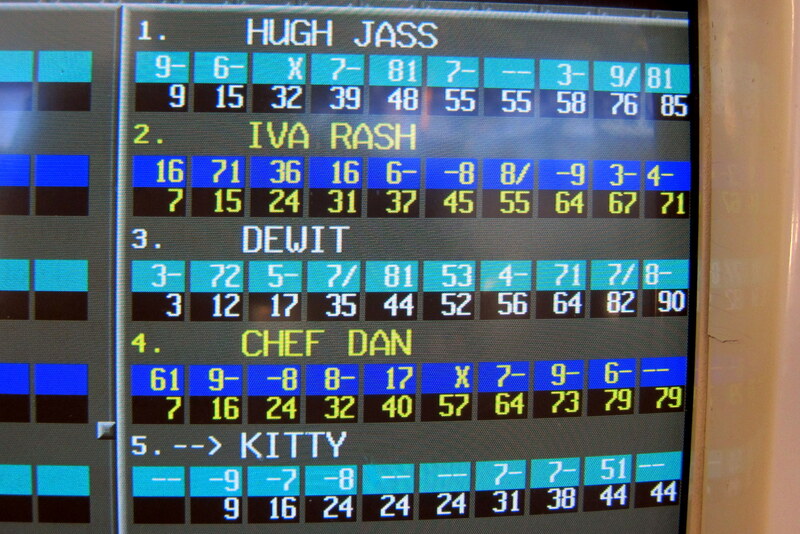 You may notice that we each used a nom-de-bowl…..this was to confuse any professional bowling scouts that may have been lurking about. 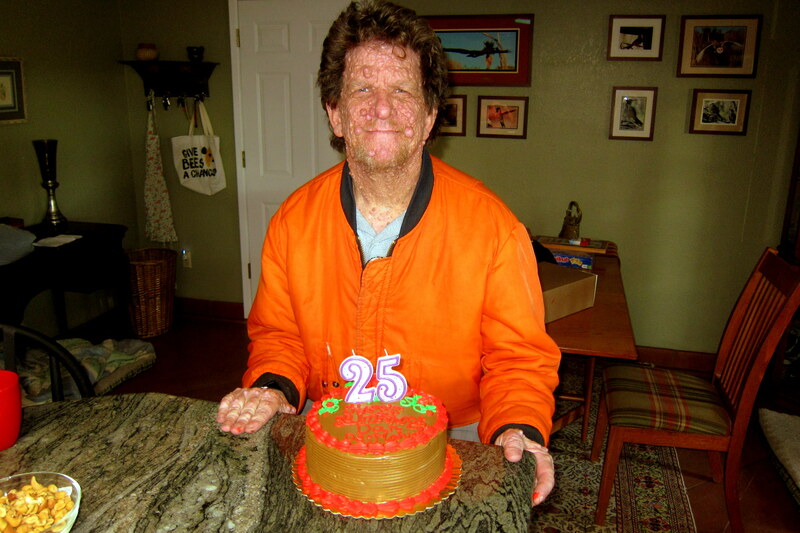 Later we all convened at Dewey and Bea’s place for the traditional birthday cake which dyslexic Bill affixed the appropriately numbered candle upon. As the setting sun painted the sky a brilliant red, we all sat on the rooftop deck with an evening cocktail in hand and agreed that life is indeed good! Kit and I have thoroughly enjoyed our stay at the world class Doobie RV Resort but tomorrow we must mosey along…..good night. Monday, January 25, 2016: Up to sunny skies and rapidly warming temperatures. Following a nice home cooked breakfast, Kit and I were on the road at 1145 heading toward the northwest on Interstate 10. If it seems to anyone that we may be going in circles, that’s because we are. Over the years, Kit and I have made an art of traveling in circles. Whether it’s a huge circle created by leaving Maine in December, heading south until it gets reasonably warm, then turning right to head west only to turn right once again before heading north and then the final right turn which brings us to our point of initial departure in early June. 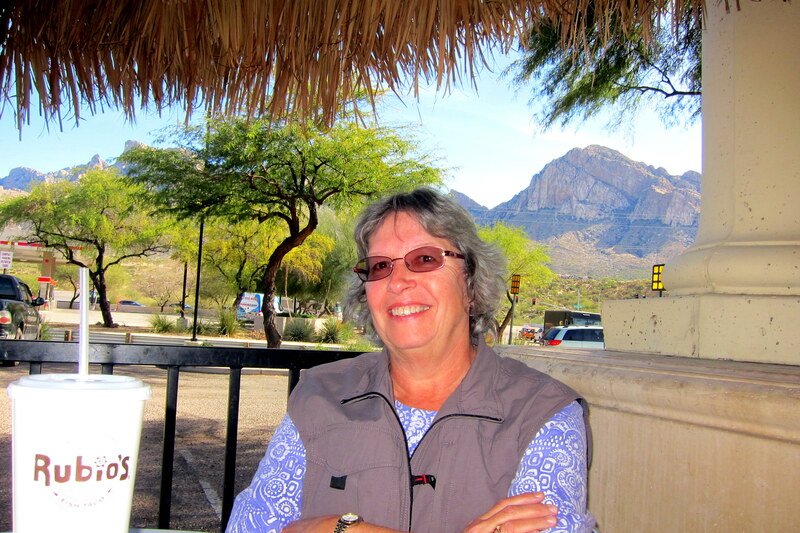 However, today’s much smaller circle has us returning to the Phoenix area in order to see some old friends and for Kit to get her “glamping” (glamour-camping) fix at Paradise RV Resort. So, who are we here to visit? Stay tuned! 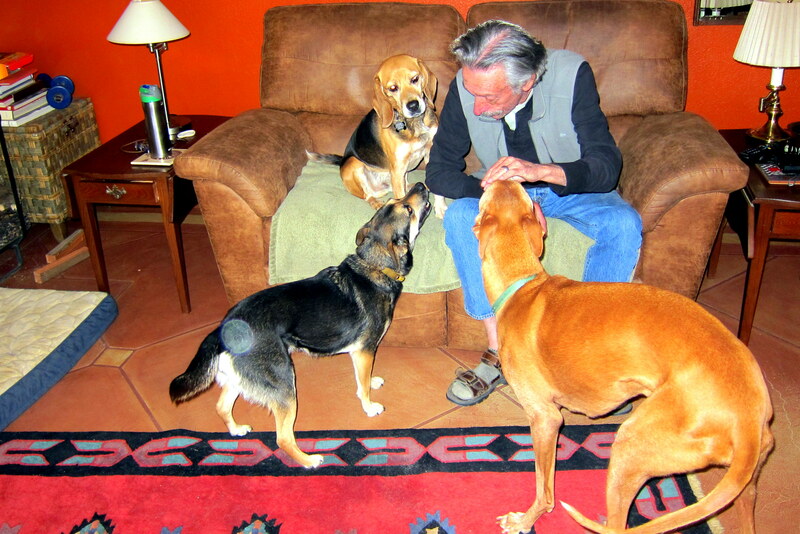 Kit’s Bit’s: We always enjoy our stay with Dewey & Bea! Bill and Dewey hash over old times when they were kids and Bea and I can go off and do something fun! Not only that, we’ve heard the same stories many times before. I thoroughly enjoyed the visit to Biosphere 2. It was much more than what I expected. It was so interesting because I remember reading about it when it first began. Would love to visit it again, next time through. Dewey resembles Bill….cousin? Bea not sure…maybe Kathy’s cousin? I did not know that javelina had self sharpening tusks when they open and close their mouth. I’ve seen many of them. They also have poor vision. That is very interesting about the Biosphere. I didn’t know it still existed. 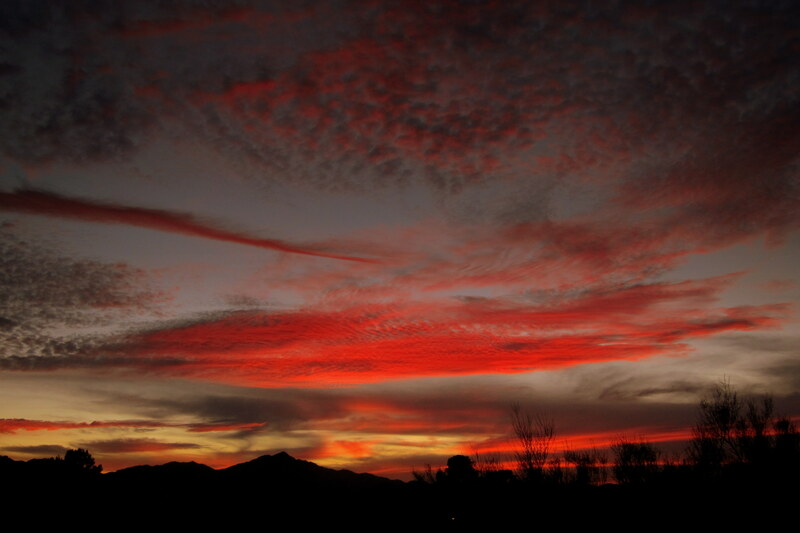 Have fun in Phoenix…I love that city! It was never too hot for me! Interesting as always—–I learn something new with every blog. This time it was the Biosphere. I recall the Biosphere from so many years ago. Now I know what actually happened to that 200 million I paid in taxes. We had dinner at Marco’s yesterday 2/19 in Lewiston with Nan and Windy, it’s located in the new industrial park where Lewiston Raceway once stood. The food and atmosphere are excellent and a change from Davinci’s. We had a mother of a rain and wind storm 50/60mph this week and it took all the snow cover with it. Big fishing derby at Sebago next week, Cody Jr may just give it a try, great prizes. Bill and Kit, I really enjoyed your visit to the Biosphere 2 “terrarium for people.” Interestingly, back when my now nearly 44 year old daughter was in middle school, she created a “project” which won her a state-wide CA science fair. She actually created a small “terrarium for people” to exist on a foreign planet wherein there was no oxygen. The air was cleaned and cooled/heated by tubing to which oxygen was provided, she had an area for growing food, an area to create energy to run the terrarium, living spaces, fun spaces, cooking/eating spaces and a water source. On her oxygen-deprived planet, I believe it rained such that she had a system to collect the rain for growing and drinking purposes. She primarily created the project by herself with a few thoughts “planted” by Mom as to how “that” would THAT work? Plus trips to various stores for materials to create her terrarium. ;o) She won a trip to Disneyland – really cool! She’s now a Financial Planner for Wells Fargo Bank so go figure. She was always a “math” person as well, acing “statics class” in college and making a great hourly wage tutoring fellow college students in horrific Statistics. I will forward your blog to her as she will get a kick out of seeing her basic “science project” actually in existence!